It's interesting to note where vintage drums turn up these days. 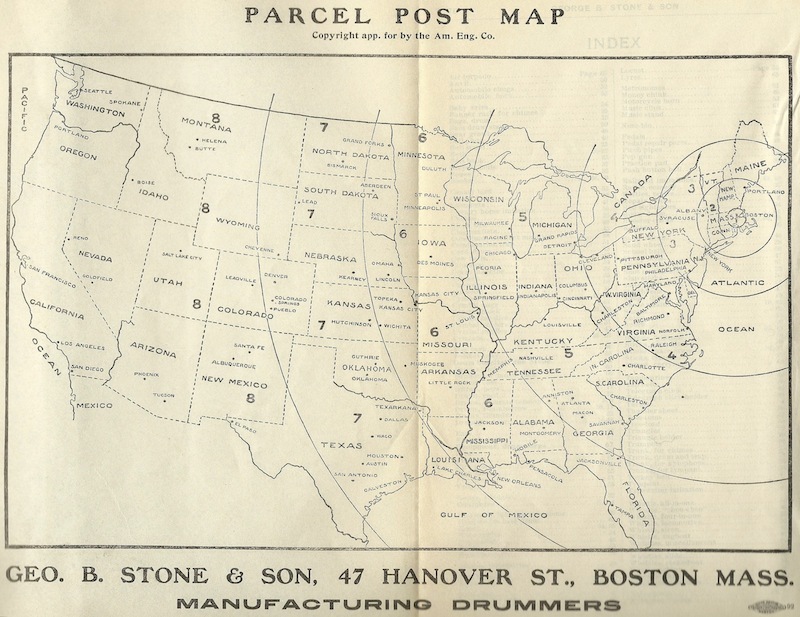 Even in the case of the drums produced by the Boston Drum Builders nearly 100 years ago, many of them haven't traveled all that far. Of the 35 drums in my collection built by Bower, Dodge, Nokes & Nicolai, Stromberg, Stone, Ditson, Haynes, and Thompson & Odell, 13 of them came from sellers in Massachusetts. 11 others were turned up in the neighboring states of Vermont, New Hampshire, Rhode Island, and Connecticut. It makes you think about how drums traveled back in the day. You couldn't just have a drum overnighted from anywhere in the world vie UPS or FedEx. (And there certainly was no internet with which to locate a drum, purchase it, and track the package!) So geography is one reason that so many of these antique instrument haven't traveled all that far over the course of time.